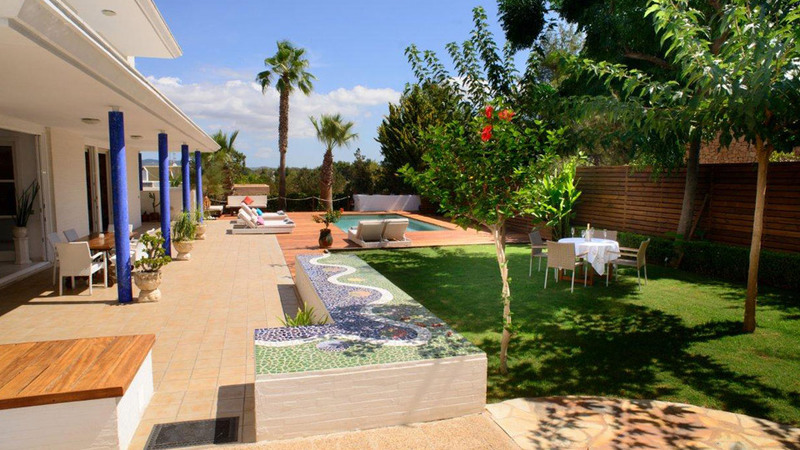 This bright and comfortable house of 400 m2 is located on a plot of 1.325m2, in the heart of a very quiet residential area of ​​the Bay of San Augustín. Room, 1st floor. This bedroom has 1 double bed King size. Bathroom ensuite, With bathtub, shower. Room, 1st floor. This bedroom has 1 double bed. Bathroom outside the room, shared, With shower. Room, 1st floor. This bedroom has 2 single beds. Bathroom outside the room, shared, With shower. Room, 1st floor. This bedroom has 1 single bed. Bathroom outside the room, shared, With shower. Very well equipped kitchen: dishwasher, fridge, freezer, induction hob, microwave, Nespresso coffee machine, as well as all types of small appliances. 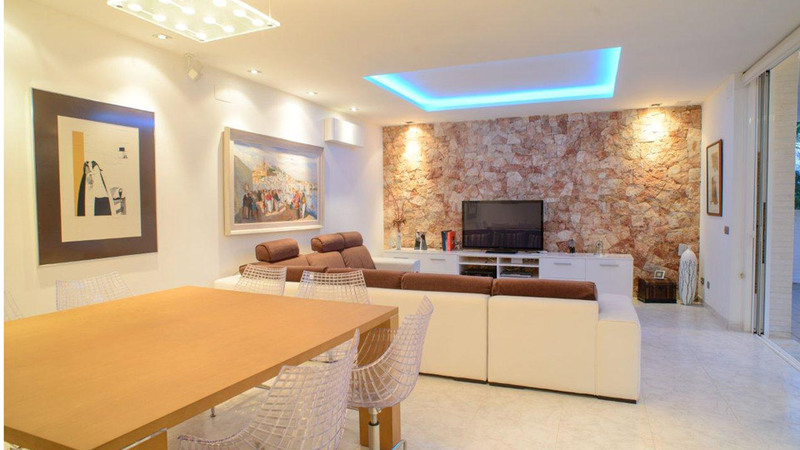 Large living-dining room with table for 8 people, plasma TV with TDT (Spanish and international channels), home-cinema, stereo and WIFI. Laundry room with washing machine, dryer and ironing board. 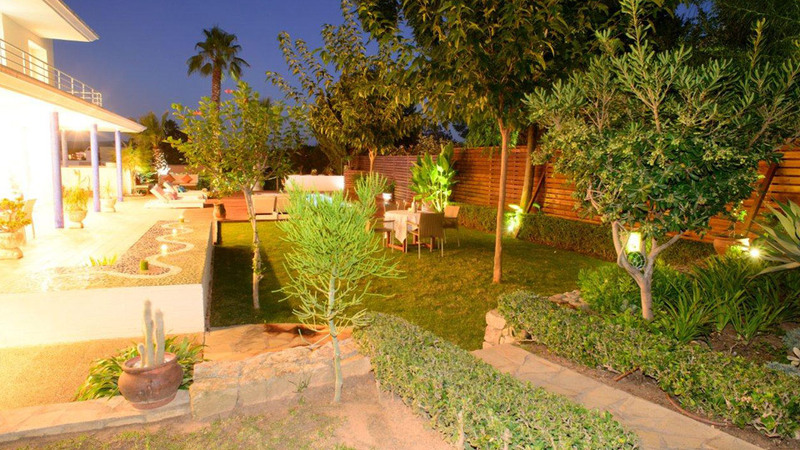 Garden very well maintained with sunny or shaded corners. Lawn. 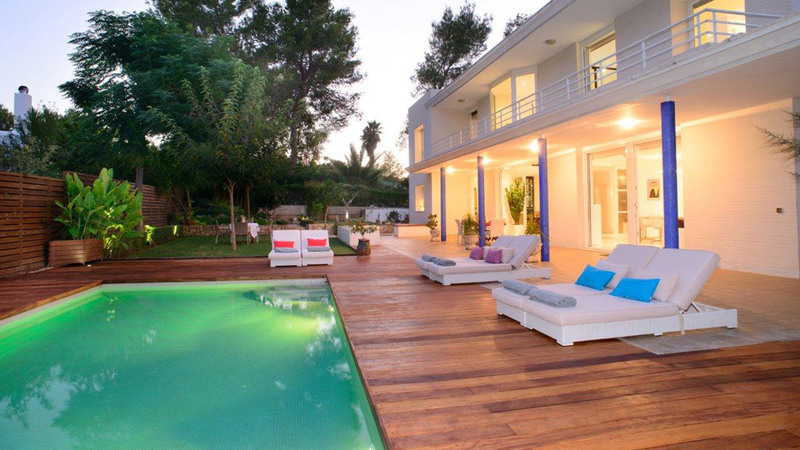 Pool of 8 x 4 m with a maximum depth of 1.50 cm surrounded by wooden terraces. Large porch with 2 tables, one of 4 places, the other of 6 places. Different terraces surround the house. 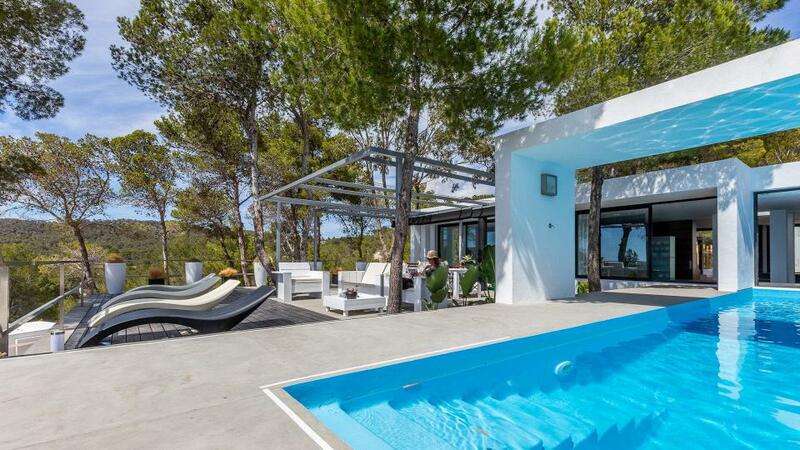 The villa is just 5 minutes from the beaches of the bay, 10 minutes from Cala Bassa and 15 minutes from Cala Conta. All other beaches on the South and West coasts are within a radius of 15 km. There are restaurants, bars and supermarkets nearby. 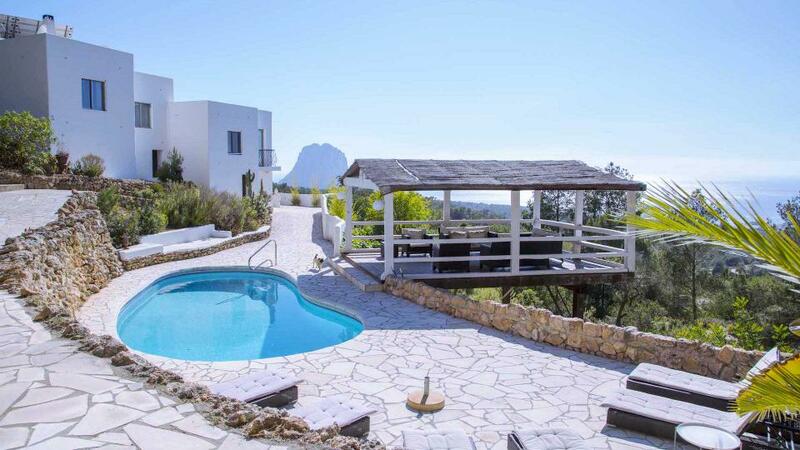 Ibiza Town and the airport are 20 minutes away.